The PA-1000 In Wall Home Theater System is designed to reproduce home theater and multi-channel audio programs. Every speaker has a directional tweeter enabling the listener to have the sound projected directly towards them. This is one of the only systems on the market today that uses a "real" in wall center channel designed to fit between the studs in your theater room. The front left and right channel speakers utilize dual 6 1/2" drivers for a real tight bass response. The rear in wall speakers have a Di-pole* and Bi-pole** switch adding a fuller dimension to every sound track played. The PA-10 Sub with its thunderous bass, will reproduce the full impact of today's music and movie soundtracks. White paintable grills, installation templates, solid gold binding posts and hi-end components make the PA-1000 truly top of the line. Sit back, relax and enjoy real movie theater quality sound from the Premier Acoustic PA-1000 in wall system. *In a Dipolar loudspeaker the two sets of speakers are out-of-phase with each other, i.e. the drivers on one side push as the other side are pulling. There is then a 'dead zone' of sound in the area directly along a line at 90 degrees to the speaker - sonically highly desirable, as it surrounds the listener, yet the source of the sound is undetectable. If they can be set up on either side of the listening position the dipolar configuration will give very open rear effects imaging without the speakers drawing attention to themselves. **In a Bipolar loudspeaker the two sets of speakers are in phase with each other, both sides pushing air at the same time and giving a slightly greater output where the Dipolar speaker's dead zone would be. In fact, a bipolar speaker disperses sound through almost 360 degrees, which helps if the surround speakers are to be used behind (or anywhere other than level with) the listening position. PA-525IW: 5 1/4" two way in wall design. One a kind in wall center channel speaker that will fit between the studs. The dual 5 1/4" Polygraphite woofers fills any room with clean, crisp bass. 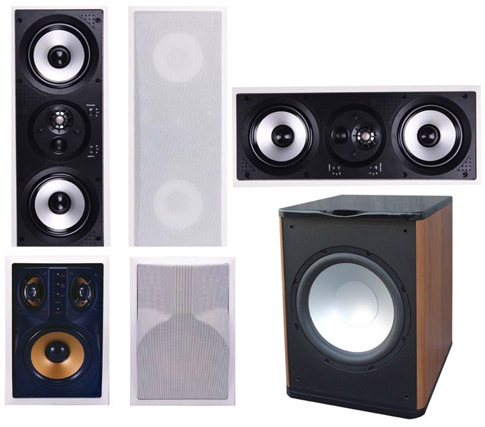 Perfect for surround sound systems or listening to music throughout your home. 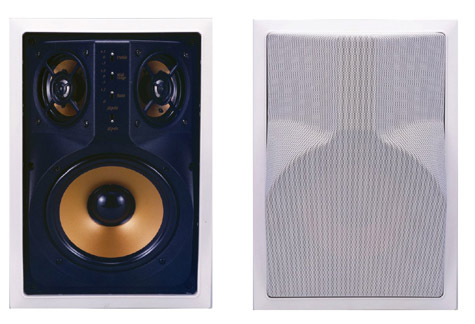 PA-626IW Speakers: 3 Way 6 1/2" in wall design. The dual 6 1/2" Polygraphite woofers fills any room with clean, crisp bass. The Midrange and Tweeter can swivel to point directly at the main listening area. Perfect for surround sound systems or listening to music throughout your home. 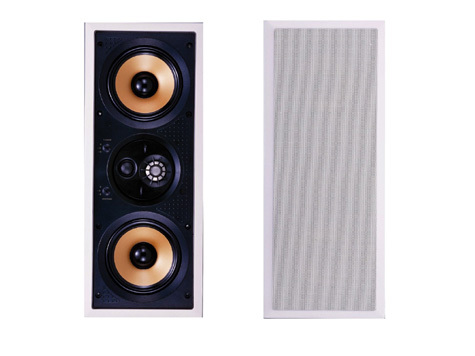 PA-631IW Speakers: 3 Way 6 1/2" in wall design. The 6 1/2" Polygraphite woofers fills any room with clean, crisp bass. 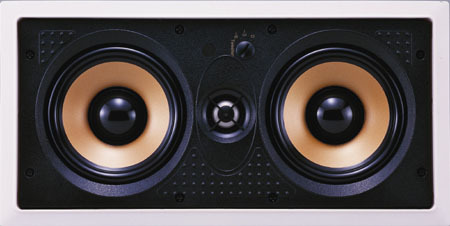 The Midrange and Tweeters can can be boosted directly on the speaker. The Di-pole angled in wall design is perfect for surround sound systems . 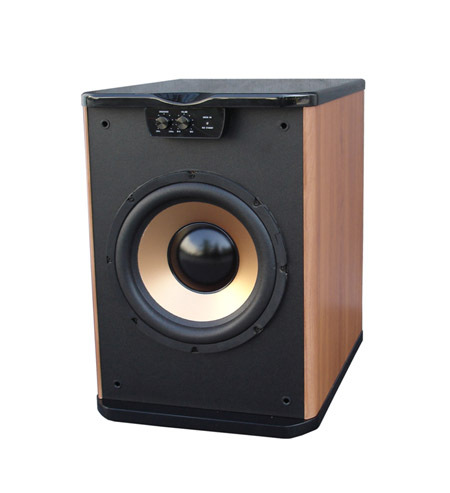 PA-10W: is designed to reproduce these sounds perfectly. The alignment of a large 10" polygraphite woofer, and a built in 500 watt amp makes this sub fill any room with powerful clear bass. We have given you even more control over the way you tune your subwoofer. An adjustable crossover to custom set the frequency response, a volume control to set the output and an auto on/off switch to power on the PA- 10W as soon as that bass hits your sound track. All these features make the PA-10W one of the strongest powered subwoofers on the market today. It is available in two stunning colors black or cherry.